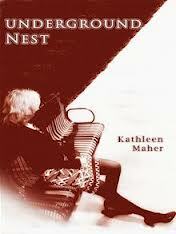 This entry was posted in Novel and tagged fiction, kathleen maher, novel, underground nest by derekemerson. Bookmark the permalink. Thanks very much for reviewing my novella.